If you’ve ever played Grand Theft Auto Online, then you’ll know that players absolutely love killing each other. Basically every stranger you encounter will (probably) try to kill you. The same holds true in Red Dead Online. The map might be huge, and there are only a limited number of other players, but you can shoot at anyone you come across. There are downsides to an online-only world, and griefers are a frequent problem for anyone that enjoys playing solo, or just soaking in the sights. That’s where Rockstar comes in. The developer has included two systems to hopefully combat griefing — Parley, and Feud. One of them blocks players from fighting, while another actively encourages a fair fight. One of them can be activated by a single player, while the other needs to be mutually agreed upon. Both of them stop sniping for a little while, and let a couple players work all that grief out of their systems. Here’s how it works. 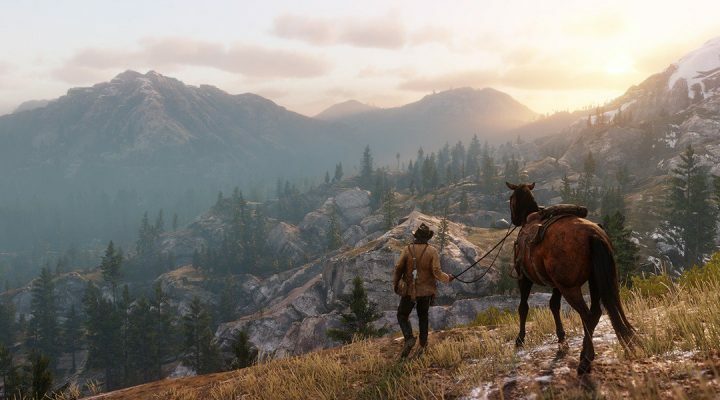 In Red Dead Online, if you kill a player, they’ll respawn not too far away. It’s a huge map, but everyone appears all the time as a purple dot. Travelling between areas takes a long time, so you’re bound to run into another player eventually, even if you steer clear. The Feuds and Parleys systems is designed to stop griefing. That is, the intentional killing of one player, over and over, for no real reason. These features can only be activated when one player has been killed by another player a sufficient amount of times. After being killed 4 / 5 times by the same player in Free Roam, you’ll get the option to Parley or Feud. Parley, if selected, blocks all conflict between you and the other player for 10 minutes. You won’t be able to fire guns or damage each other until the time period has lifted. You will still be able to hear the other player’s voice. Feud, if selected, must be activated by both players. When a Feud is activated, you’ll be able to fight each other in a one-on-one session. Other players won’t be able to hurt you or your enemy. It’s a fair fight, and there’s a tally counting kills in the 1 v. 1 Shootout. Both of these modes are meant to curtail griefing. We’ll just have to wait and see if this actually slows down toxic behavior, or if players just find new ways to troll each other by abusing these seemingly simple systems. At least Rockstar is attempting something new.